KANSAS CITY, Mo. 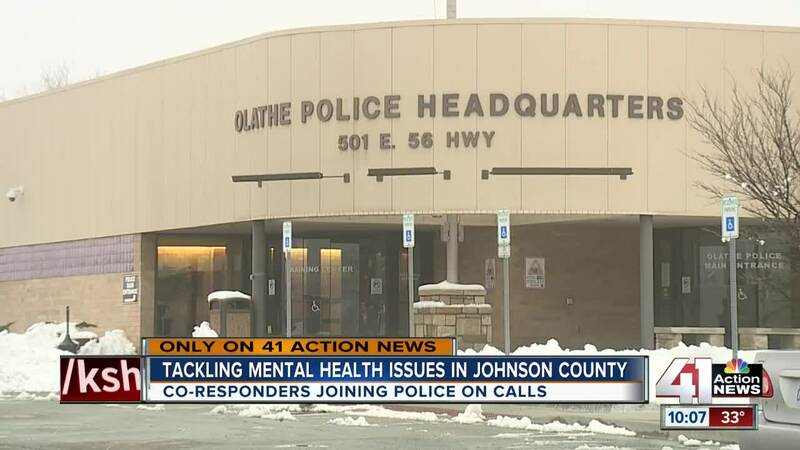 — As the number of 911 calls involving mental health continues to increase, Johnson County Mental Health is hiring more mental health specialists to work and help police. The county is specifically looking to a hire a co-responder to cover cities in the northeast part of the county, including Fairway, Merriam, Mission Hills, Mission Woods, Roeland Park and Westwood Hills. "If you provide immediate access and do it in a quality way, it can contain costs not just in your organization but across the system," said Tim DeWeese, director of the Johnson County Mental Health Center. Co-responders are mental health specialists who are embedded within police departments to help with behavioral crisis calls. The program started in 2011 as a partnership with the Olathe Police Department and has grown. The program now employs eight full-time co-responders, with two assigned to both the Olathe and Overland Park Police Departments. According to DeWeese, Johnson County Mental Health is looking to add two more co-responders this year. One will be embedded with the Johnson County's Sheriff's Office and another will split his or her time between the Leawood and Prairie Village Police Departments. "In Kansas, we have seen the mental health system kind of just be systematically dismantled over the last decade," he said. "What it has forced us to do is look inward to our community partners and find where we can be the most efficient since resources are scare, we have to make sure we focus the limited resources we do have in the area where they can make the biggest impact. I think co-responders are the perfect example of that." Sandi and Gary Jaeger agree. When they needed help with their granddaughter, Lexi, they did not know what to do. Eventually, Shawnee police officers responded to their home followed by Kate Coleman, the department's co-responder. "Mental illness isn't any different than physical illness and if we have a physical illness, we get the help we need. All the more so for mental illness. We need ones like the co-responders to be there in order to help us," said Sandi. "From where we were to where we are now, it's a huge difference."